Thanks Dianne for the well wishes. PS Cute pic! And lookie, lookie – you’ve done a lot of something already…and there’s still 1/2 a month left. Woo hoo…. I ❤ U TLC. We are on a great journey but I'm not so sure this is transparent. Maybe it is since I feel like I have to be accountable to everyone who's read it. Sigh. Something. Something. Something. Like the little engine that could … It shall be my January mantra. Thanks Zen! It wasn’t easy to do … I didn’t do it justice but am grateful that it’s out. My goal is by end of August for first draft. Watch me go! 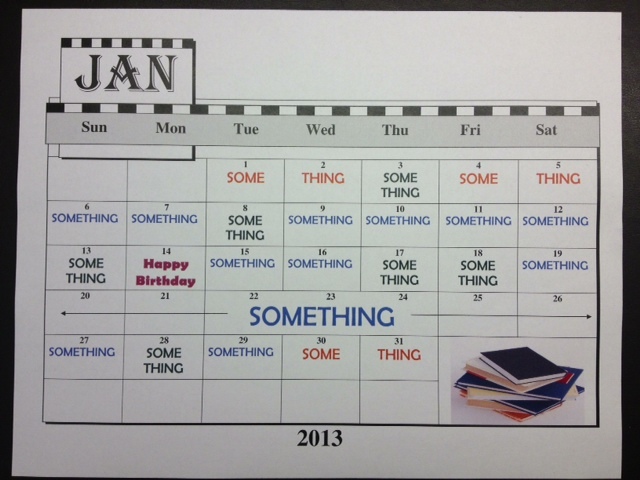 I love the title of this post…the month of something. It is very poetic. I’m so excited for you and your beautiful book. Can’t wait to read her when she’s all wrapped up and ready to go! Thanks Britt. You’re so kind. I’ve been writing for a year and a half. Hopefully, you’re still with me when it’s all done.